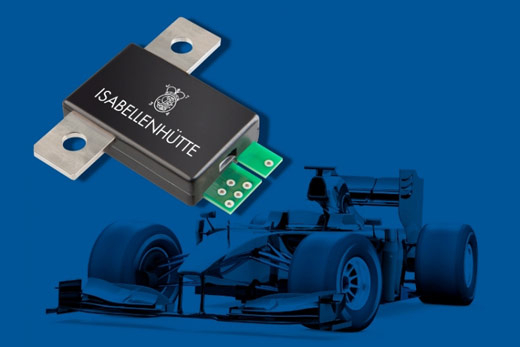 Isabellenhuette (Germany) provides since several years CAN current sensors for the electric kinetic energy recovery system (e-kers) of Formula 1 racing cars. The IVT-F sensor supports CAN data rates up to 1 Mbit/s. The measurement frequency is 500 Hz; in the internal sample-rate is 3,5 kHz. NINE FORMULA 1 TEAMS ARE USING THE CURRENT SENSOR during the 2012 season, which started in March 1 in Melbourne, Australia. The module has been integrated in the so-called e-kers systems. It was used for the first time in 2009 and has been integrated in several Formula 1 cars again in the 2011 season. The system forms part of the power transmission of the racing cars. It converts kinetic energy won during the breaking process into electricity with the help of an electric motor that also performs as a generator. This power is stored in lithium-ion batteries and fed back into an electric motor in strictly regulated quantities, which in turn boosts the combustion engine during acceleration periods. The CAN-connectable current sensor controls the quantity of power supplied by the energy recovering system. 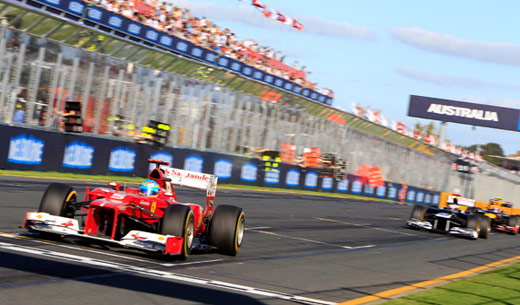 The FIA (Fédération Internationale de l’Automobile) Formula 1 umbrella organization aims to ensure in this way that the racing teams will not use the system to break the rules. It took just two months to develop the modules and they are specifically designed for use in Formula 1. Jens Hartmann, Sales Director Measurement at Isabellenhütte Heusler looke into the future: “We are already working on sensors for the 2013 and 2014 Formula 1 seasons.” The currently used sensor is a three-channel measuring system for current, voltage, and temperature. It provides the results of fixed calculation over 16 sampling values. The operating life is in minimum 2000 km. The sensor maker offers also other shunt-based current measurement products, e.g. for hybrid and e-cars. since last year in its Ferrari.